Ever heard of a guy named, Stephen Friedland? 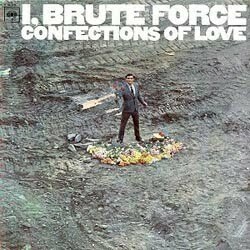 If you have, then you know the story behind Brute Force, which was the name Friedland used to record his 1967 album, I, Brute Force — Confections Of Love. This album is being reissued in October by Bar-None Records, having been out of print for over forty years. I’ve never heard the album, but it is a highly regarded, apparently underrated and obviously obscure thanks to its lack of circulation. “The King Of Fuh” is also being released as part of Apple Records’ first compilation album, Come And Get It: The Best of Apple Records, which will see the light of day on October 25th. Brute Force has a blog if you’re interested in him, his music, or you want any additional information on “The King Of Fuh” and the reissue.